When you fly, there’s a good chance you’re surrounded by products we manufacture every day. 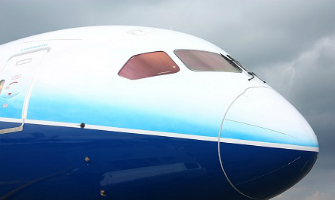 Saint-Gobain Performance Plastics makes critical aerospace components designed to keep you safe and comfortable in the sky and on the ground, from radomes that enable satellite communication to critical seals for demanding applications. Our products are also used in space, enabling instant communication across our planet, regardless of what corner of the earth you’re on.